Are you at your wits end trying to get a good night’s sleep??? If so, then this workshop is for you! 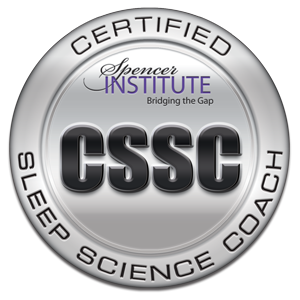 Led by Sleep Science Coach, Susan D’Addario, this 2-hour workshop is designed to provide complimentary sleep strategies to support you in your quest for long-lasting, amazing ZZZ’s. Lecture, group discussion, as well as interactive problem-solving are all included to facilitate your learning experience. Click here for your complimentary ‘Breakthrough to a Great Night’s Sleep’ Session ($90 value) to learn if my services may be a good match for your needs. No pressure, no strings attached...just a great conversation with someone who listens deeply and sees your value. You can transform your poor sleeping habits and exhaustion into finally sleeping soundly again, feeling rested and ready to take on the world. I promise that you'll get a ton of value from our short time together!